The Bartons told us about an amazing house available for rent. We loved our house, but thought we would look anyway. We didn’t get the house and we were glad. Our time in Barlowganj wasn’t over. For some reason, just looking elsewhere made us appreciate what we had. Before that incident we were doing our shopping in the main bazaar. We talked about how important it was for us to also shop where we were living and to build relationships with the shopkeepers and people there. It was a very steep walk down to the little shops. There was a lot to see and the girls loved walking along the low walls all the way down. We made friends and stopped at people’s houses for chai. 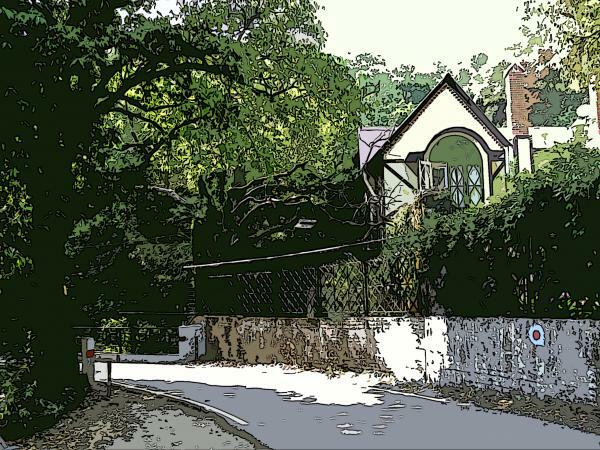 Right below St George’s School was the only children’s park in Mussoorie. The slide was rusty and the swings were wobbly, but they loved it. Our treat after the long walk was hot loaves of bread from Barlowganj Bakery. There wasn’t much left by the time we got home. We picked on them the whole way back. It was a slow, steep meander with lots of stops. We had discovered Prakash’s homemade peanut butter and jam which was the perfect way to finish off the big chunks that were left. Mr Varghese, our landlord, agreed to build a flat under our house for us to rent. We knew it was going to be used well. There were friends from South Africa asking if they could come and join us. We also knew in the not too distant future, we would need a place to do some training. The community was growing and so were we. At times we were stretched beyond our human capacity but there was always plenty of grace. Amazing grace. I’m loving the way you are writing our storey. Thanks my babe, Lv you with all my heart, Tone.